Have you always wanted straighter teeth but felt you didn’t have all of the information you needed to make the best decision for your smile? At Incredible Smiles, we pride ourselves on helping patients make educated choices when it comes to their oral health. If you’ve always dreamed of a beautiful, straight smile, achieving one with Invisalign® has never been easier. Here are some of the most frequently asked questions we hear about the treatment. If you’d like to learn more, we welcome you to schedule a consultation with us! Your Invisalign® aligners will be custom fit to your mouth. While you may notice them fitting quite snugly, this is normal and necessary to reposition your teeth. Unlike metal braces, these aligners won’t irritate your mouth or cause ulcers. 2. How long will I wear the aligners? The typical length of care is different for everyone, though will likely fall between six and 18 months depending on the severity of correction required. You must wear your aligners 22 hours each day, only removing them to eat—this means you do need to sleep in them. We strive to make our care very affordable while offering the best quality standards. While the length of treatment will vary person to person, it’s important that we see you in our practice before you offer you a quote. 4. Will I still be able to eat and speak normally? Absolutely. 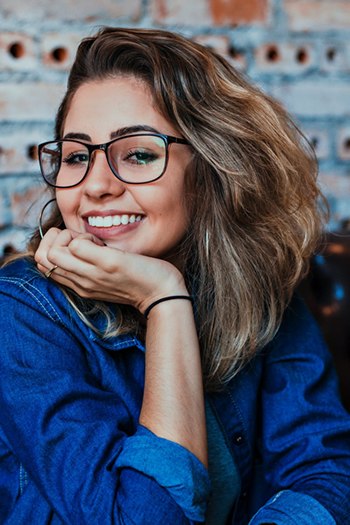 Patients often love that they’re able to remove their clear aligners when they need to eat, and most do not notice any impairment in speaking whatsoever. In fact, your friends and family will most likely not even notice a thing. 5. How can I begin care? You can start care by booking an appointment with our practice. In person, we’ll be able to better examine your specific situation and needs. Best of all, you’ll have the opportunity to ask us any questions that you have. We look forward to welcoming you to our practice!